This summer, Jocelyn Benson ’99 was named the dean of Wayne State University Law School. According to the university, at the age of 36 Benson is the youngest woman ever to lead an American law school. 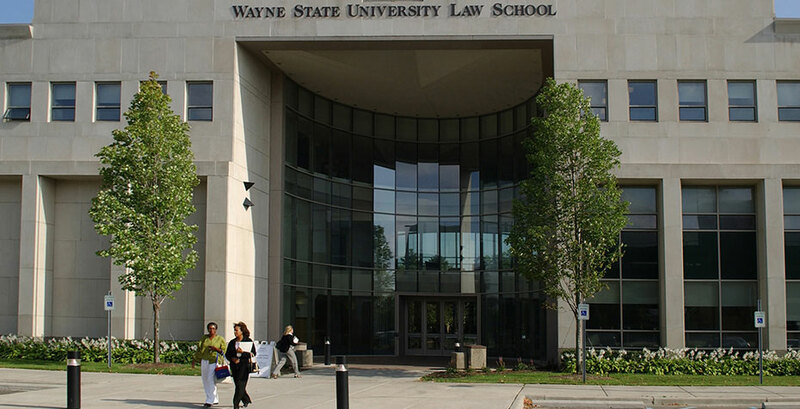 Located in Detroit, Mich., Wayne State University Law School specializes in public-interest law and seeks to create advocates for justice within local and global communities. The university at large serves over 28,000 students with more than 370 academic programs. Benson is a distinguished legal scholar as well as public and political activist. While at Wellesley, Benson studied political science, and won a Marshall Scholarship to earn a master’s degree at Oxford University. She then earned her law degree at Harvard, and gained experience working for both National Public Radio and the Southern Poverty Law Center. She joined the Wayne State University faculty in 2005 at the law school’s Damon J. Keith Center for Civil Rights, and later founded the school’s Michigan Center for Election Law as well. Benson specializes in issues of civil rights law, education law, and election law. Her 2010 book, State Secretaries of State: Guardians of the Democratic Process, is an authoritative text on the role of state secretaries of state. In the same year, Benson was named the Democratic candidate for the Michigan Secretary of State position. In December 2012, she was named the interim dean of the WSU Law School. During her interim period, according to the WSU press release, Benson has led major new initiatives, including new lecture series, new mentoring programs, and new master’s programs for foreign lawyers. The Detroit Free Press cited other successes during Benson’s interim tenure, including improving bar passage rates among law graduates and improving the school’s ranking in national publications. In addition to her legal scholarship, Benson also works extensively to support military spouses in Michigan, creating the support network Michigan Spouses Network. She also works to create better civic education for young people by serving on the board of Justice Sandra Day O’Connor’s nonprofit organization, iCivics, Inc.
Benson is keen to have her university be part of the renewal of the city of Detroit, and views Wayne Law as an anchor in Midtown, participating in the city's rebirth on a daily basis, and learning from and practicing the legal work surrounding problems of an urban environment. In her dean's statement on the law school's website, Benson says, "At Wayne Law, we expose students to a variety of perspectives, so you will learn to think in different ways and understand the opposing arguments surrounding a particular issue. Your coursework will challenge you to think deeply about existing problems and how you can help solve them." We detect a hint of Wellesley in that. Our best wishes go out to the new dean and her institution as they train the next generation of lawyers, advocates, and leaders.